The Espresso Cheat Sheet is a quick reference you can use during development. 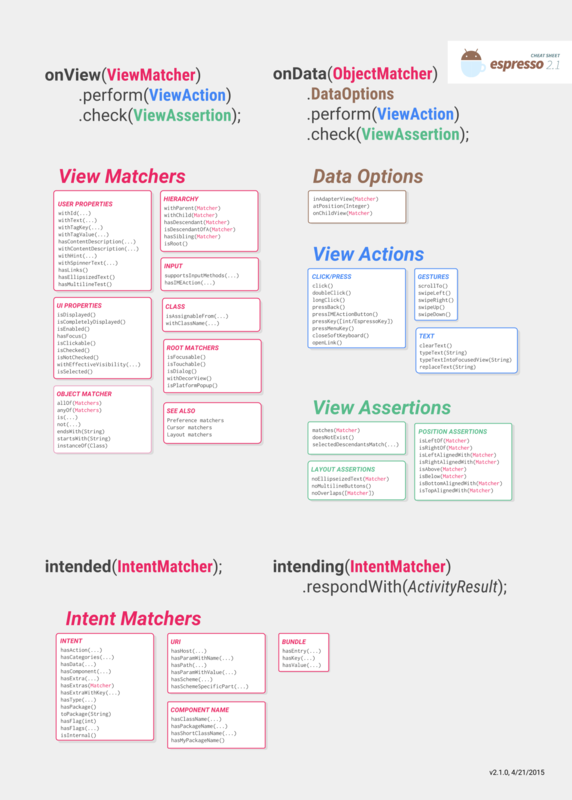 This cheat sheet contains most available instances of Matcher, ViewAction, and ViewAssertion. An offline version is also available in PDF format: espresso-cheat-sheet-2.1.0.pdf.